As Head of Architecture, Frederic Drevet is responsible for supporting Oracle’s strategic customers’ across Nordic countries undergoing Digital Transformation and wishing to do ‘Innovation at scale’. 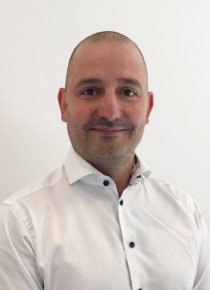 With more than 18 years of IT experience, Mr. Drevet is a senior advisor on the subjects of Future IT, Digital Transformation, Innovation, Customer Experience, AI and Agile management, particularly focusing on how to adopt cloud and emerging technologies (e.g. IoT, Blockchain, AI and Augmented Reality) and new approaches (DevOps, Agile and Human Centered design).